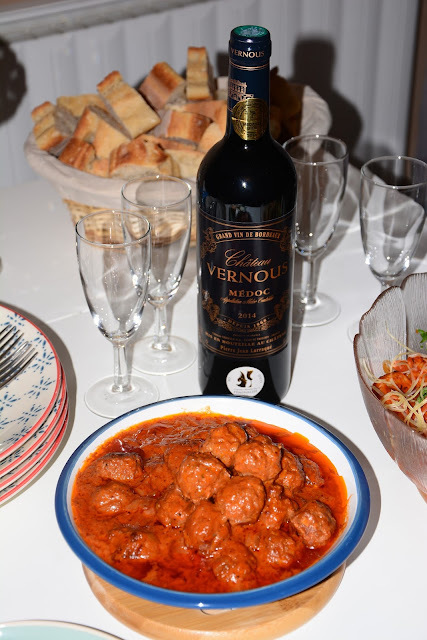 The Paris Feast: Meat balls in sauce tomates à la crème. Meat balls in sauce tomates à la crème. It was the weekend and we had some friends visiting us. I spent a lot of time preparing the Gnocchi for them (you can check my blog for the recipe) and thus I ran out of time to prepare a side dish. The minced meat that I had bought from the morning market came to my rescue. It is a hassle free dish but extremely delicious and goes well with wine (preferable red). Here is the recipe. 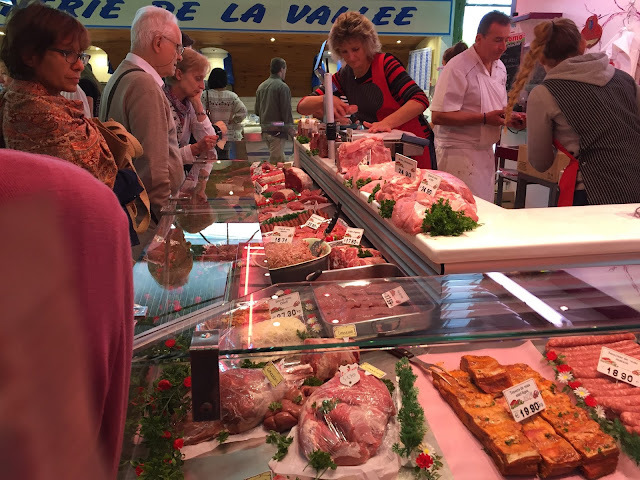 My favorite boucherie (meat stall) at the morning market. Minced meat : 700gm (the meat contained finely chopped shallot, garlic and parsley). Divide the meat into small little balls and then with the help of your palm smoothen it. Pour olive oil into a nonstick deep bottomed pan, place the meat balls, cover and cook at high heat for 1-2 minutes. 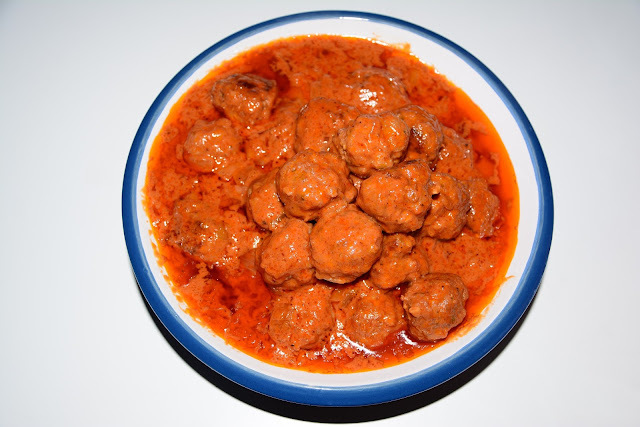 Once the meat balls have changed color and turns a bit whitish, add butter in form of small little cubes. Turn the sides of the meat ball. Cover and cook in medium heat for 2-3 minutes. Reduce the heat, move the meat balls to the side and make a little space at one of the sides. Add the shallot and fry in medium heat. Once the shallots have turned light golden brown, stir and mix it well with the meat balls. (Do it carefully so that the balls do not break). Add the tomato puree, cinnamon powder, green cardamom powder, black pepper powder and salt. Give it a good stir. Cover it with a lid and cook in medium heat for about 15 minutes until the meat balls are done. Reduce the heat, add the fresh cream, give it a good stir and cook for 2-3 minutes in low heat. Voila, the dish is ready to be devoured. With it we drank a Medoc wine made from a combination of Cabernet and Merlot grapes. Generally any full_bodied red wine with low acidicity will go well with this dish. It is a hassle free dish but extremely delicious made with minced meat and goes well with wine (preferable red).